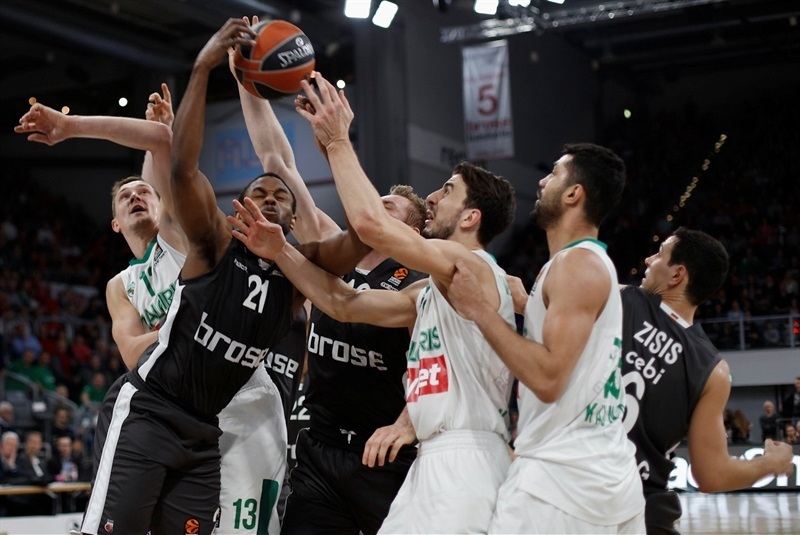 Zalgiris Kaunas boosted its playoff chances with a thrilling 86-91 road victory at Brose Bamberg in a game that saw both teams leave absolutely everything on the floor. The Lithuanain champs collected their fourth win in their last five games to improve to 10-13 and remain two wins out of the playoff zone. 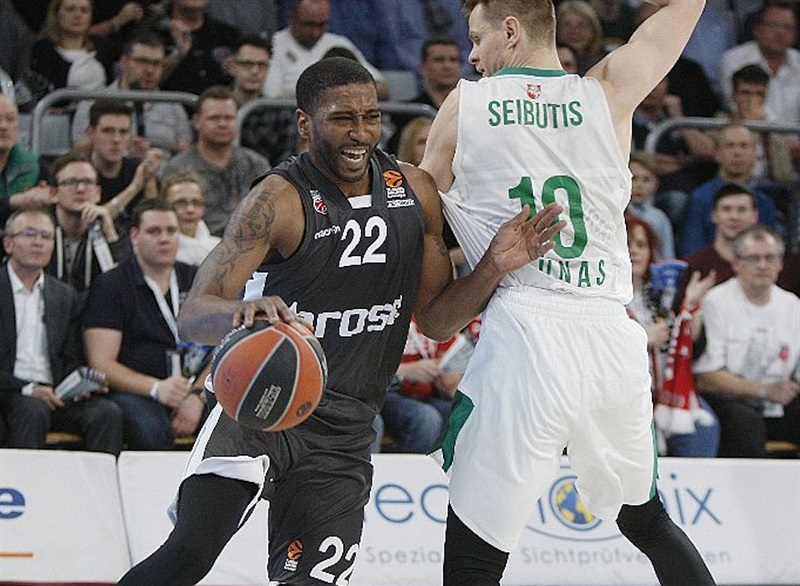 Bamberg dropped its six game of its last seven to fall to 8-15. It was a tantalizingly close battle nearly all the way, with Bamberg battling back from an early deficit to briefly lead by 6 in the third quarter. 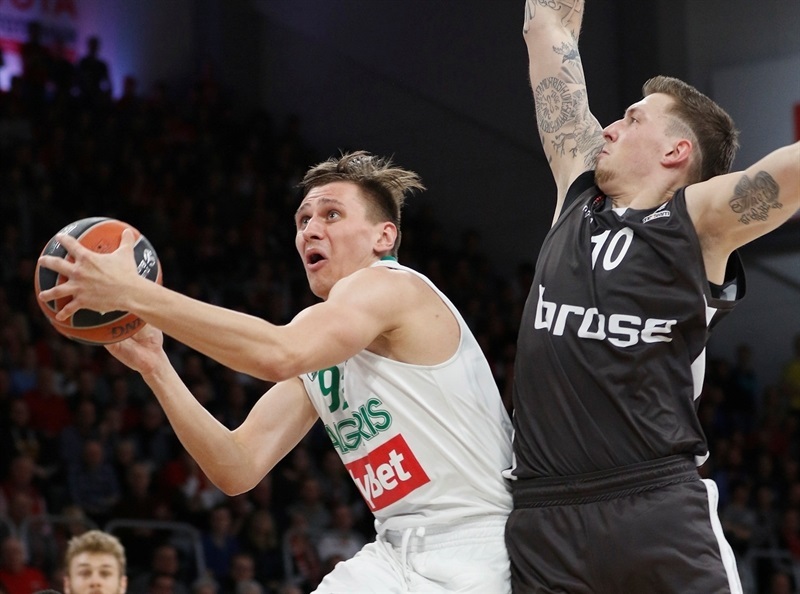 But in the end a pair of spectacular personal performances – inside from Paulius Jankunas, outside from Lukas Lekavicius – were enough to see Zalgiris home. Jankunas combined 24 points and 6 rebounds, and Lekavicius came within one missed two-pointer of a perfect shooting night on his way to a career-high 29 points. Edgaras Ulanovas also delivered, netting 6 consecutive late free-throws in a total of 11 points. 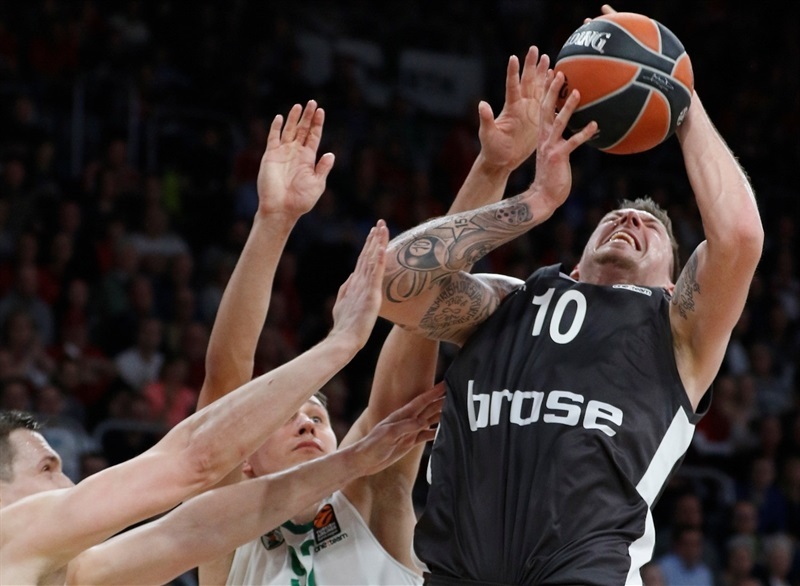 The home team was paced by 17 points apiece from Nicolo Melli and Daniel Theis, while Darius Miller netted 15 and Leon Radosevic scored 10. Jankunas was the game’s dominant early force, scoring 9 points in three minutes as his team raced into a 5-12 lead. 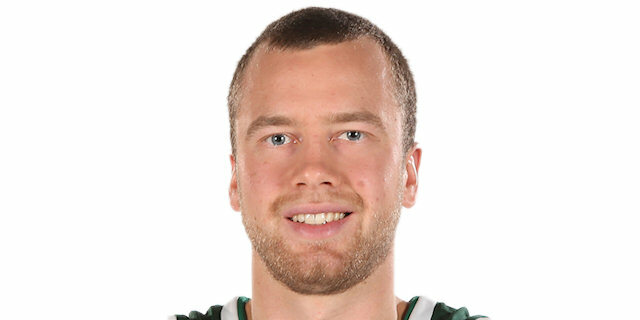 Leo Westermann and Kevin Pangos sank triples to give Zalgiris a double-digit lead, but Theis came off the bench to score 9 first-quarter points as Bamberg came back with a 9-0 run. 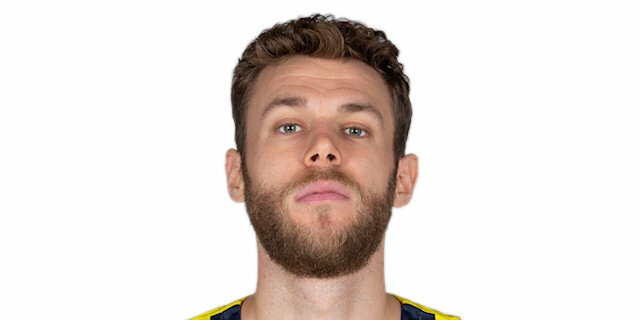 Lekavicius mirrored Theis’s impact by scoring 8 off the bench, including the first points of the second quarter to make it 22-30. The next bench-booster was Alexej Nikolic with 5 quick points for Bamberg, but a huge slam from Augusto Lima helped protect Zalgiris’s lead, which was 45-49 at the interval thanks to Brock Motum’s buzzer-beating triple. 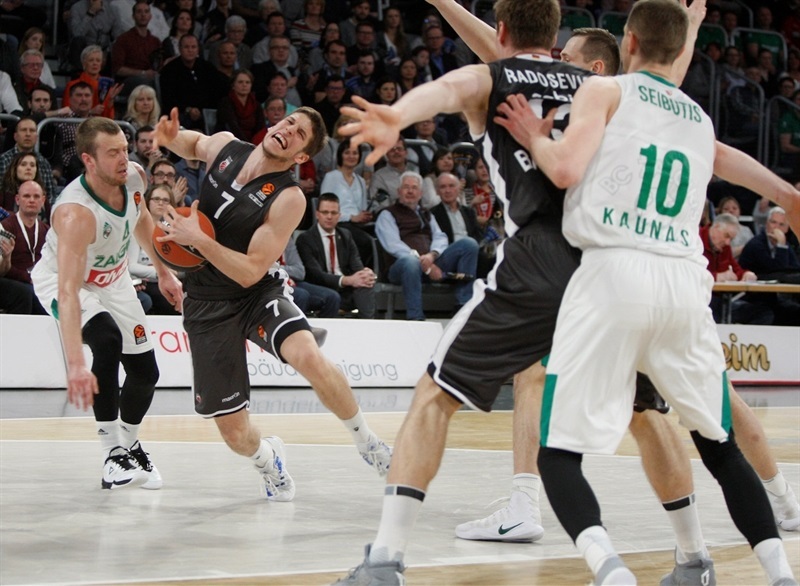 Jankunas started the second half with another pair of triples, but Bamberg kept fighting and Melli went coast-to-coast to make it a 1-point deficit. 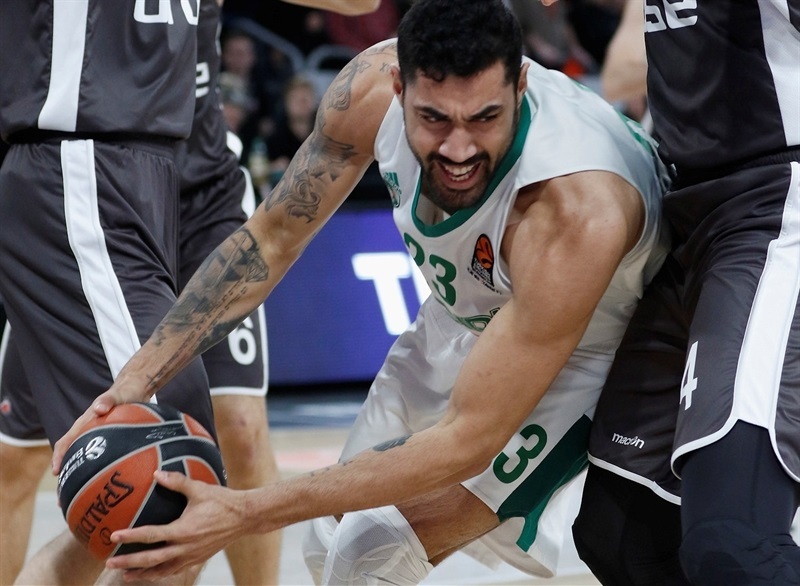 Zisis gave the hosts their first lead and Bamberg, with an 11-0 run, was threatening to grab a big lead until Lekavicius netted 10 points in three minutes to make it 68-67 at the end of the third. 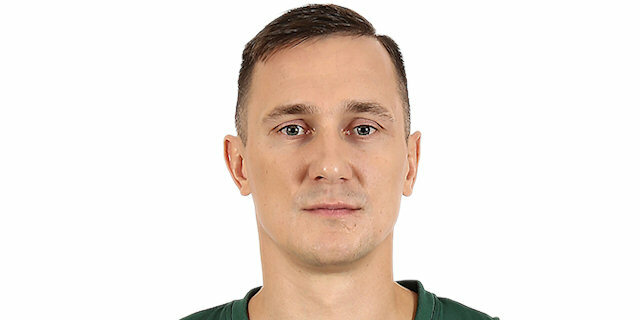 A big slam from Antanas Kavaliauskas restored Zalgiris’s lead and the lead changed hands five times in four minutes as the drama continued. 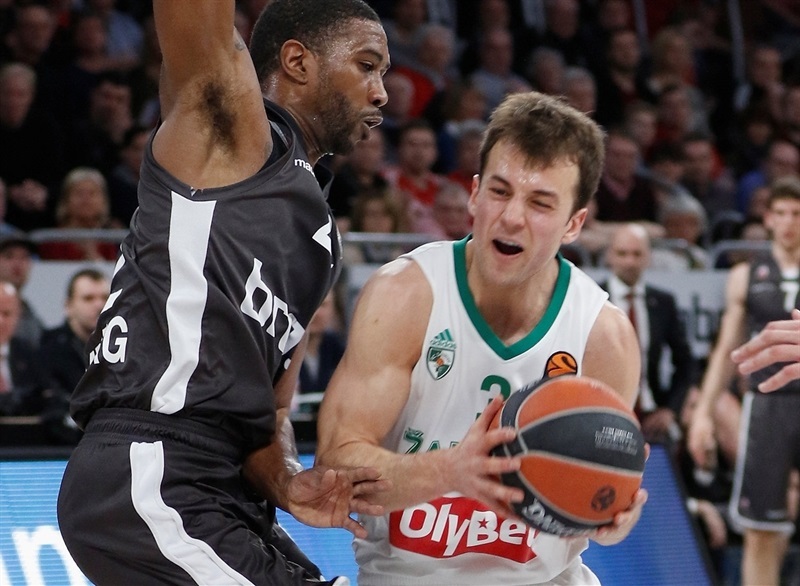 Zalgiris went on a 0-7 run to take control, and another strike from Lekavicius made it 77-83 with 1:19 to play. 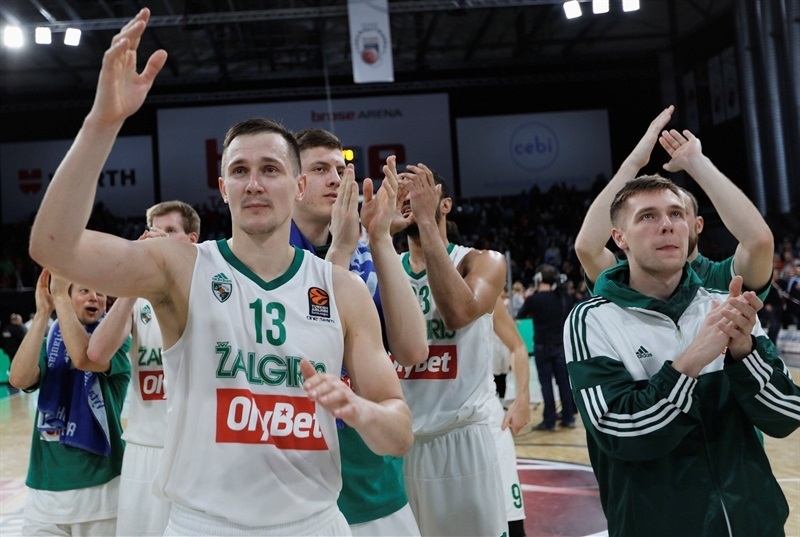 Triples from Miller and Melli kept the game alive, but Ulanovas held his nerve from the foul line and Zalgiris held on. 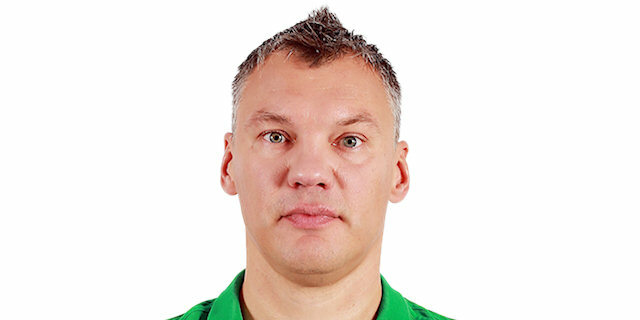 "First of all congratulations to Zalgiris, they played a great game. The first thing we have to analyse is that two of their players combined for 9 of 11 three-point shots. That is, for sure, a factor in the game. We started badly. We were sloppy, not ready on defense, we let them feel good and the game became a tough one. We came back strong in the third quarter and changed the momentum. Here was the key of the game: we should have put together a couple of solid defenses, but we made mistakes and let them breathe again. They made some big shots in the last few minutes and they won." "It’s a great win for us, like I told the guys. They fought like men and we played great basketball at some moments. Bamberg is a team which will put you in a lot of trouble but it was a great game by our guys… We won because of our unbelievable fighting spirit. We came out so aggressive and active, offensively and defensively, and we kept it for 40 minutes. We made mistakes, and Bamberg played a really good game – at times it was difficult to stop them. But we kept fighting and this was a man’s win. Boys don’t win in this arena. 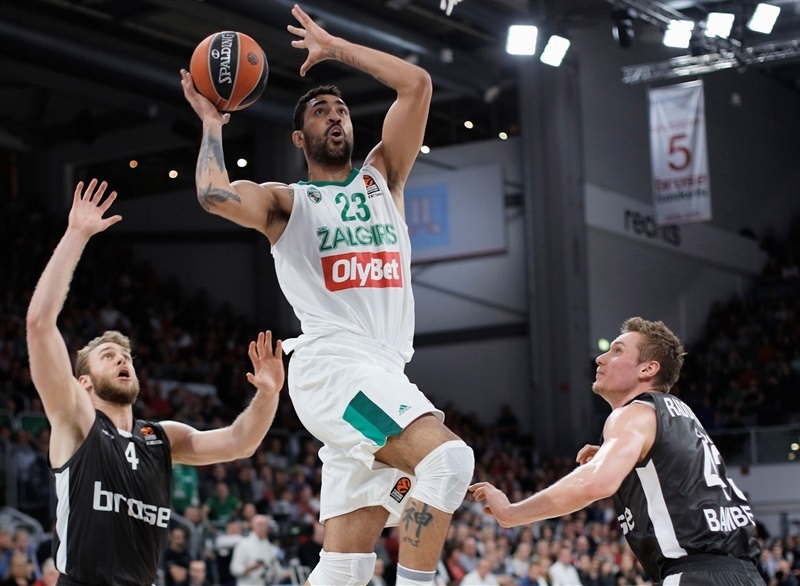 A team like Zalgiris can only go one game at a time. 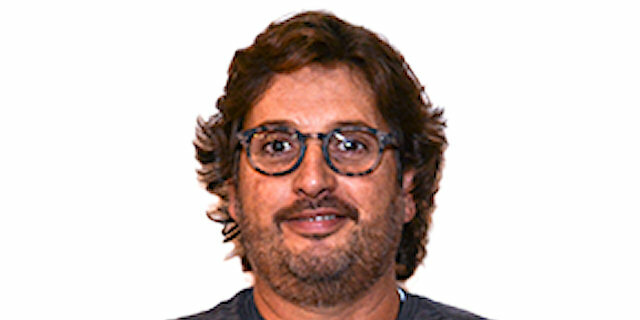 Like I always say, you don’t know when your next win will come in EuroLeague. But we will try." "We had a tough game. Two of their players scored almost 60 points, we didn’t do a good job on pick-and-roll, we didn’t start well and we let them gain confidence. We didn’t play well on defense and that was the key." "It was a very tough game. We knew that Bamberg plays very aggressively at home, we were ready for that and the coaches prepared us. The game was very intense but in the end good defense and offense helped us to win." "Our offense was very good. We hit our shots, we didn’t play well on defense, but our offense was better than theirs and that’s why we won. They let me hit the shots and I hit them, that’s why I scored a lot of points."